Hello everyone! I'm posting over at Twine It Up! 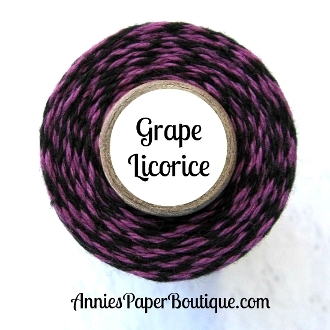 with Trendy Twine today, and I have a shaker card to share using Grape Licorice Trendy Twine and some Grape Licorice Batty - Halloween Sequins. This is now my 2nd shaker card ever! I love your shaker Helen!!! Awesome job!!! Fabulous Helen! Love your fun shaker card and the bats are perfect! Super cute card! Love the fun design with the shaker! This card is awesome! 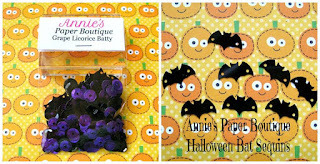 I love that purple polka dot paper. Great way to showcase that twine and sequins. Love this fun shaker, the purple is just gorgeous!